I admit - I do buy frozen chicken nuggets for those many nights where I just don't have the energy to cook or there is just no time to cook. 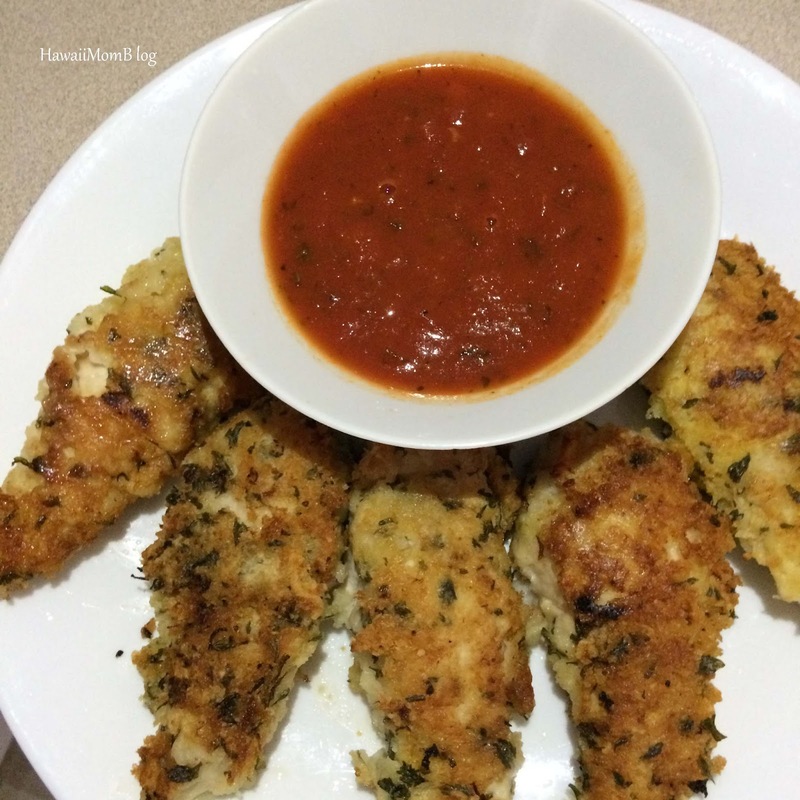 But one night I did have the energy and time to try and make some Panko Parmesan Chicken Tenders, based on this recipe from Cozi. I thought they turned out great. My kids loved them too! Next time I'm going to cut the pieces into bite size chunks to make them more like nuggets. Combine panko, cheese, parsley and salt in a separate shallow dish. Arrange tenders on foil-lined pan and bake 20-30 minutes.